As popular destinations in Asia such as Thailand and China are becoming too mainstream, travellers who seek to explore more exotic places in the South East are moving forward to countries like Myanmar or Vietnam. If you are a big fan of Buddhist temples and monasteries, Myanmar is definitely an ideal destination with thousands of pagodas in Bagan remaining among the millions that were built in the past. 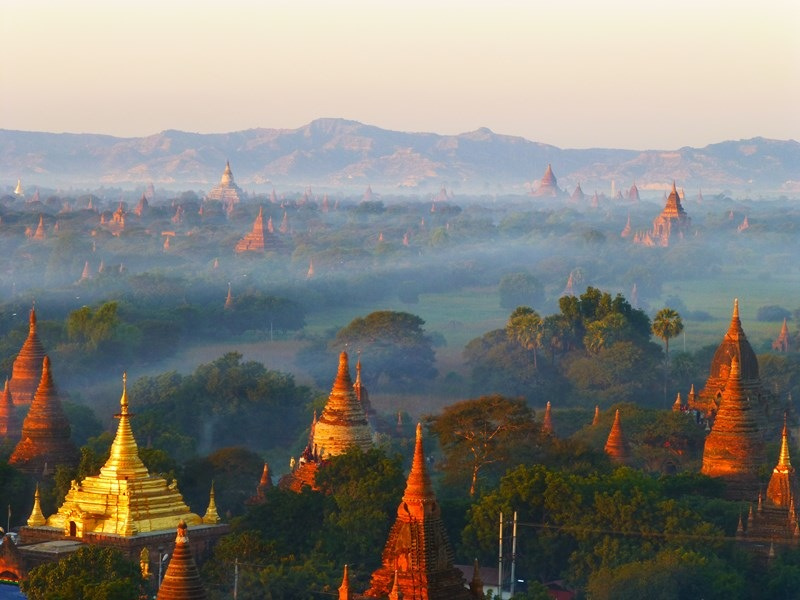 One of the must-dos on your travel list in Myanmar has to be ballooning over Bagan. It is a spectacular experience of a lifetime, which is worth paying for. In this article you are going to find the best guides and tips for exploring Myanmar from the sky with hot-air balloon. Do not show up in Myanmar searching for hot-air balloon during rainy season, which is between May/June and October. The ballooning season is short: from late October to mid March, when the winds are calmer. A typical flight program usually starts in the early morning from 5AM before sunrise. You will be picked from your hotel to the launch site with private vehicle and kindly served light breakfast while watching your balloon be inflated by the crew. After giving safety briefing and flight instruction, your pilot will start the flight, during which he will explain the history of ballooning as well as of Bagan, and point out the most important pagodas. The flight usually lasts up to one hour. You will surprisingly be awarded with a flight certificate, sparkling wine and a ride back to your hotel. Price for one ride per person is 320 USD for standard ticket or 380 USD for premium ticket. Book through an agent will save you some cash. Discounts are sometimes available and you will be refunded if the flight to cancelled due to weather conditions. Ballooning over Bagan flights can be easily booked online via Scapetour! Book easily with Scapetour via online and enjoy a better rate! What's the real experience like? If you would like to know more about the actual experience before deciding to pay for your flight, ask from experienced travel bloggers who have been there such as Dustin Main or Jodi Ettenburg. Please feel free to contact us at hello@scapetour.com if you have questions about Balloon Booking and Scapetour will be happy to assist. Always pay attention to the pilot's instructions. When the balloon lands, DO NOT HOP OUT until the pilot says 'OK'! Always read the Terms & Conditions before booking your tickets. Book through Scapetour and save you some cash today!